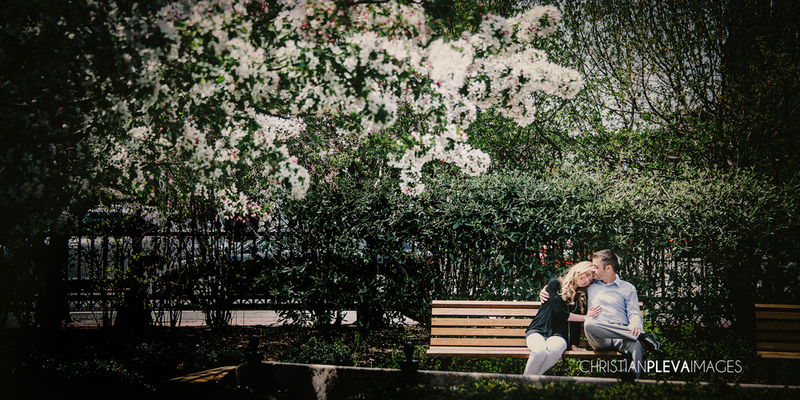 Zack and Samantha had two places in mind for their engagement session. First stop was the Boston Public Gardens, with the hope that we could capture the flowers in full bloom along with the history and architecture in the surrounding area. The second spot had even more meaning as it was the spot where Zack popped the question! After newly adopting a pit bull puppy, they decided to take him for a walk around Mill Pond in Woburn. Little did Samantha know, that Zack had other plans.... While skipping rocks along the pond and looking for more rocks, she heard him ask, "What about this one?". When she turned around, there he was on one knee with the ring! We can't wait to shoot the wedding of this adorable couple in Westport at Bittersweet Farms. They are equally excited and looking forward to all of the fun activities they have planned for their guests! From lawn games to a treasure chest full of surprises, this fun loving couple has thought of everything! 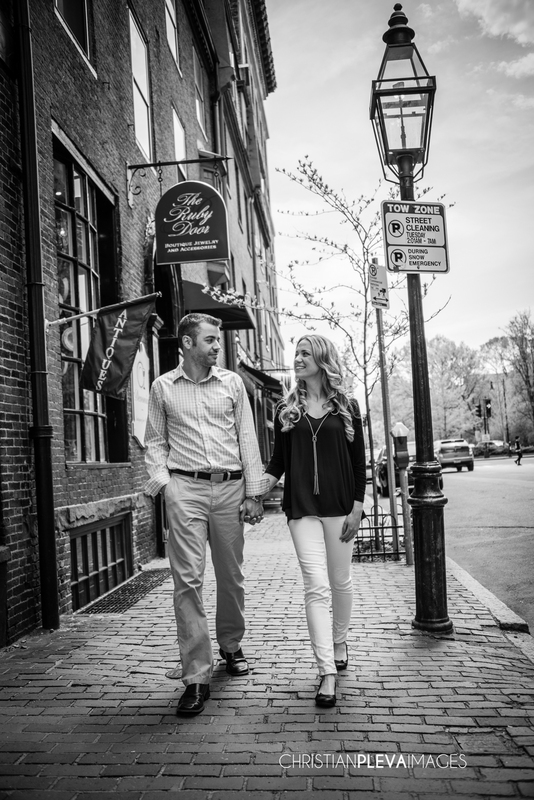 Here were a few from part one of their engagement session in Boston!